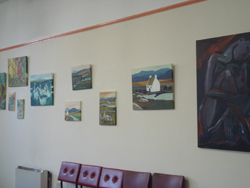 All Andrea’s work is currently being exhibited at her Studio at the Ceardlann in Spiddal Co.Galway. Any future exhibitions at different venues will be published on this web site. 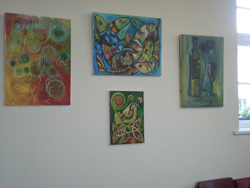 Andrea's recent work can be viewed at her Studio in Spiddal, also at the Mulberry's Restaurant in Barna. 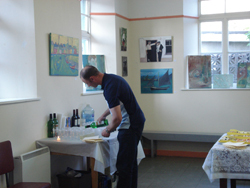 She had several solo exhibitions for the last 6 years such as Westport Art Festival, Connemara Coast Art and Craft Fair, Eigse an Spideal, Feile na Ceardlanne, Galway County Hall and local libraries.